The Sierra thermal is the perfect flip shelter for chasing fish with a friend on a cold day. 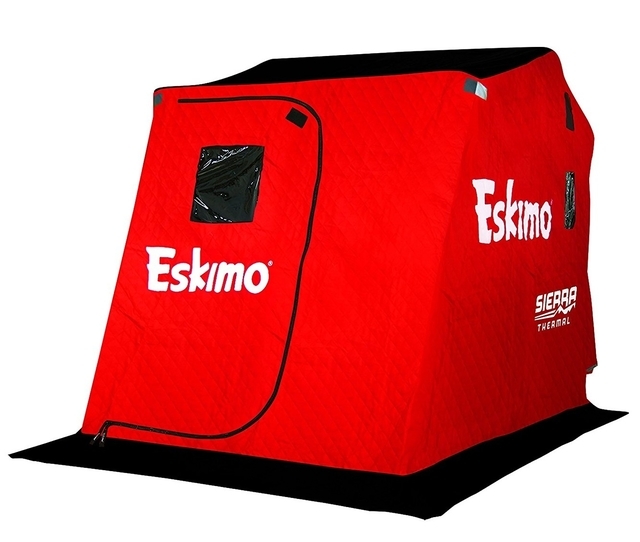 This lightweight and highly-portable shack holds in the heat thanks to Eskimo insulated IQ fabric. Two comfortable swivel versa seats are mounted to the sled and can be fully-removed via hitch pin, or flipped forward, allowing storage space and easy access for extra gear and large items. The Sierra thermal's framework features new aluminum square tubing that snaps into place in seconds, creating a sturdy structure. • Versa seating constructed with TearTuff mesh and a high-strength steel frame.